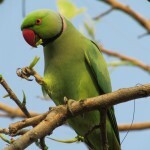 “In Israel, Ring-necked Parakeets are culled because of alleged damage to sunflower crops, date palm and almond trees while in Spain, it is no longer legal to breed these parakeets as pets, to reduce the risk of escapees. 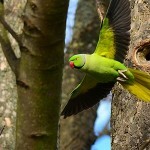 “Since the early 1970s, at least 90 Ring-necked Parakeet populations have established in 10 European countries and most of these populations are growing exponentially. 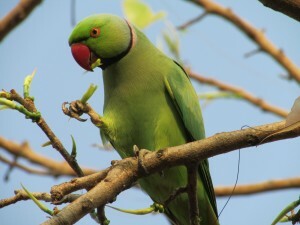 It is, therefore, important to keep track of this avian invader.